Bed bugs have become a serious problem throughout North America. Many people report difficulties with stress, anxiety, and insomnia when dealing with presence of bed bugs. 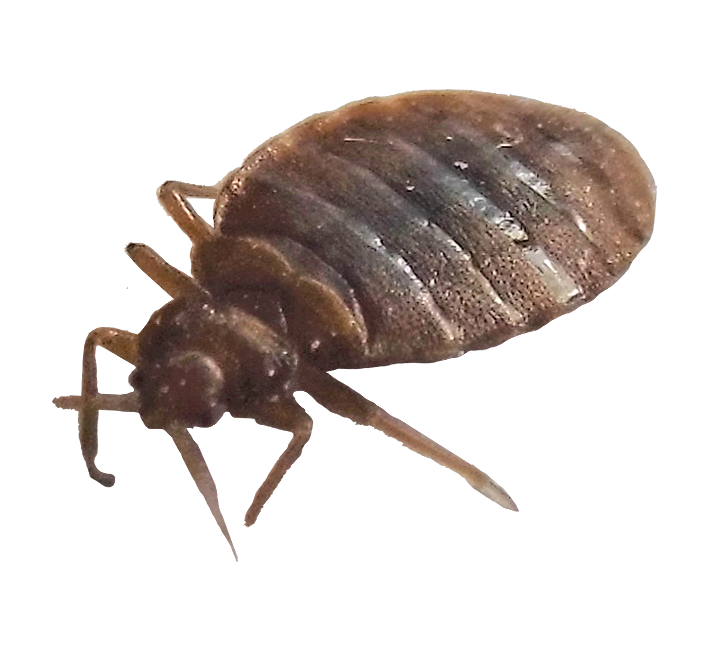 While they can be tough to get rid of and control because of their ability to survive long periods of time without feeding, Arizona Organic Pest & Termite Control has devised effective bed bug protocols that successfully eliminate bed bug infestations from your home or commercial property. A thorough inspection by a pest control expert for evidence of bed bugs is a must for effective pest control management. Likely bed bug habitats include mattress seams, bed frames, headboards, baseboards and carpet edges. Cracks and crevices, upholstered furniture, and any area used for sleeping are also potential hiding places for bed bugs. Bed bugs are oval shaped and cannot fly. With blood as their sole food source, bites may be painless but often cause uncomfortable skin irritations, excessive itching, and complications with allergies. You’re more likely to see signs of bed bugs than the insects themselves. How Do Bed Bugs Enter a Location? Usually, bed bugs hitch a ride into the home or workplace through luggage and other items that have become infested at hotels, summer camps, and other hospitality locations during travel. Bed bugs can also be brought into your property via used bedding, furniture and clothing. To learn more about bed bug pest control, contact a Arizona Organic Pest & Termite Control specialist for a free assessment. Type of pest control needed? When you partner with Arizona Organic Pest & Termite Control, you will benefit from the years of experience of licensed pest control professionals. What’s more is that we use environmentally-sound treatment methods, which means you can feel confident knowing that no harsh chemicals are being used throughout your home. If you are looking to speak with a professional about a possible pest infestation, do not hesitate to get in touch with us. We will be there as soon as we can to assist you.